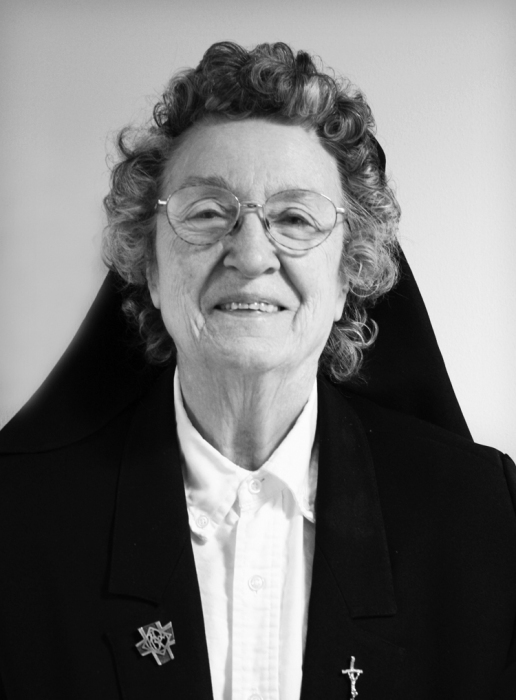 Sister Mary Bonita Determan, PBVM, 87, died on Friday, April 12, 2019 at Mercy Hospital, Dubuque IA. Funeral Services will be Wednesday, April 24, 2019 at 10:30 am at Sacred Heart Chapel, Sisters of the Presentation, with burial in Mount Olivet Cemetery, Key West. Friends may call from 4:00-7:00 pm on Tuesday, April 23, 2019, at Sacred Heart Chapel, where there will be a vigil service at 7:00 pm. Sister Mary Bonita, daughter of Raymond and Benita (Shire) Determan, was born Myra Wandera Determan on November 1, 1931, in Mason City, IA. She entered the Sisters of the Presentation from Mason City on September 8, 1949, and professed her perpetual vows on June 19, 1955. She received a Bachelor of Arts in Biology from Loras College, Dubuque, IA, and a Master of Arts in Science from Clarke University, Dubuque, IA. Sister Bonita served as principal, elementary teacher for grades 5-8, CCD instructor, pastoral minister, hospice volunteer and elder care minister. Her ministries took her to Key West, Whittemore, Humboldt, Elkader, Osage, and Mason City, all in IA, Oak Lawn, IL, and Monticello and Winona, MN. She celebrated her 60th Jubilee in 2009 and permanently retired to Mount Loretto in 2016. “I am filled with joy and gratitude to my God, my parents, family, priests and sisters in my life,” she recalled at her Jubilee Celebration. Sister Bonita enjoyed prayer, community service, and visiting with family and friends. Surviving are her sisters, Sister Rayanne Determan, PBVM and Sister Donna Determan, PBVM, her nieces, nephews, and the Sisters of the Presentation with whom she shared her life for 69 years. She was preceded in death by her parents and her sister, Donna Umbarger, and her brother-in-law, Robert Umbarger.